There is a refundable £50 deposit required but will be refunded providing no breakages or damages. Passes for swimming pool is £40 for the duration of your trip. 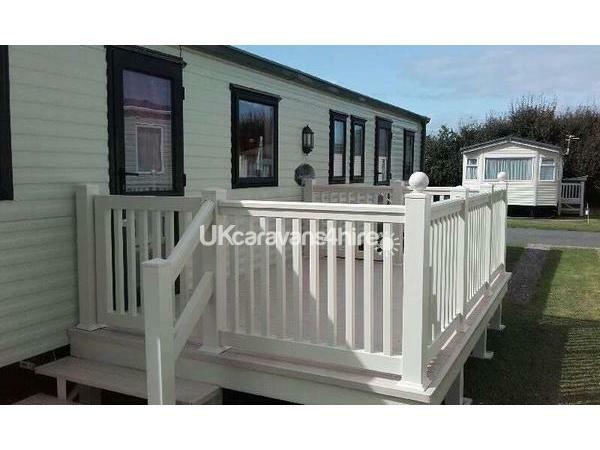 A homely 8 birth caravan situated in Hoburne Blue Anchor near Minehead, west Somerset. 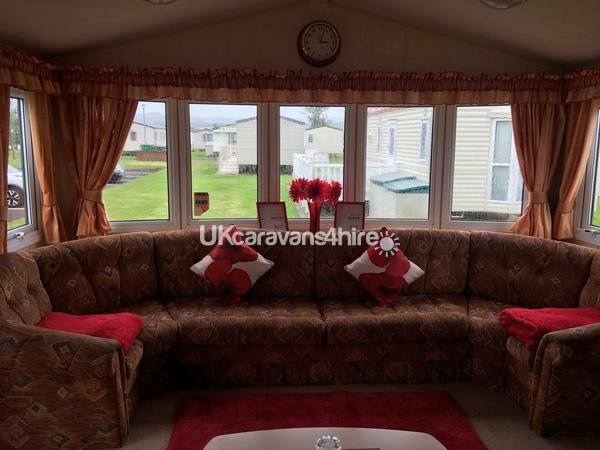 Ideal for getting away and relaxing on this smart, quite and well kept site. 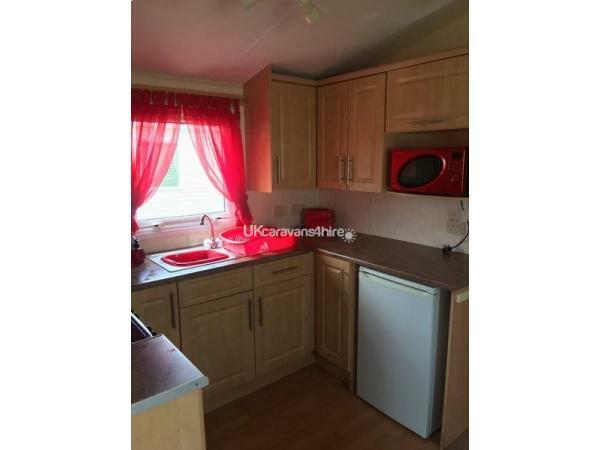 the caravan has excellent views of the historic west Somerset railway and Quantock hills from the living area from the wide bay window. 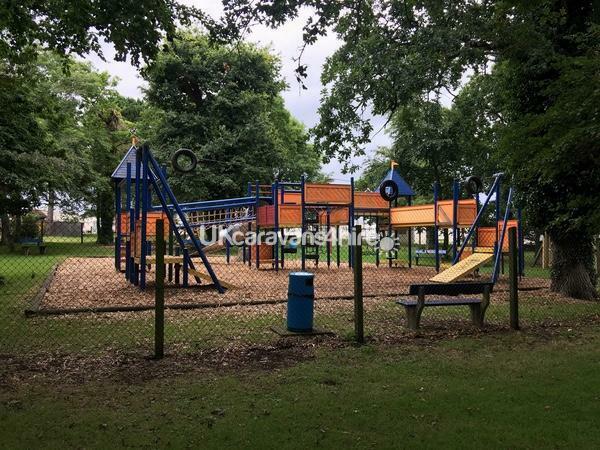 This is a small peaceful park with plenty to do around the local area, the indoor pool is ideal for children and adults alike, as well as crazy golf. 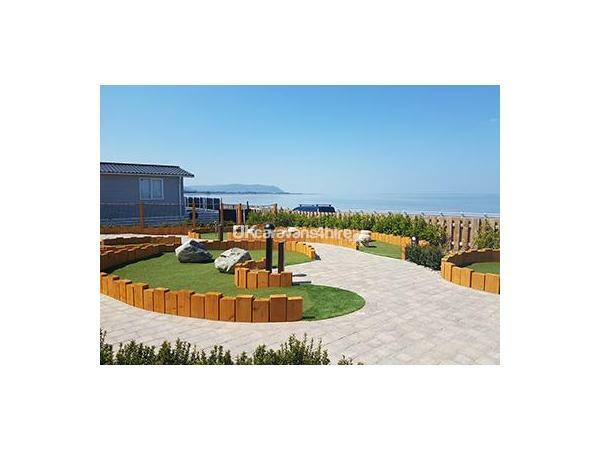 The site is located across the road from Blue Anchor beach and is ideally located for access to Minehead, Watchet and Exmoor national parks. 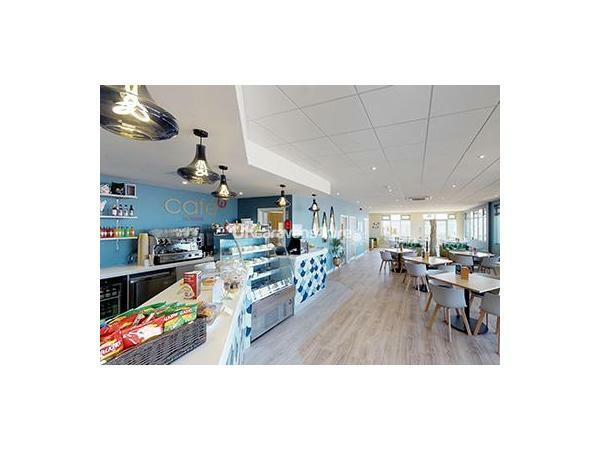 New to 2018 there is a cafe onsite with a variety of snacks and Beverages and there is a local café to one side of the park and a pub on the alternative side, that both sell food. There is often a fish and chip van and a ice cream van on the sea front itself, there is also a A small shop on site for your essentials or Minehead is only a short drive away for your larger shopping requirements. 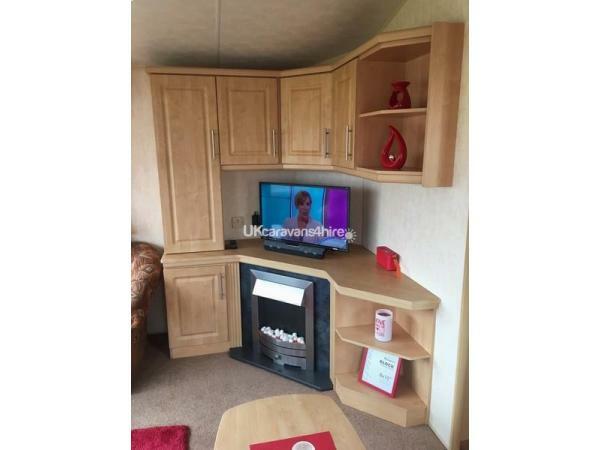 Features include TV/DvD player, PlayStation 3, dab digital radio and Bluetooth sound bar also there is Free Wifi onsite. 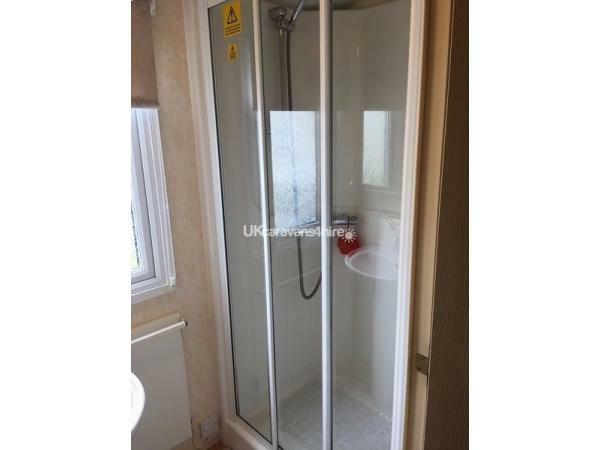 There is a family shower room with a separate toilet and wash basin. 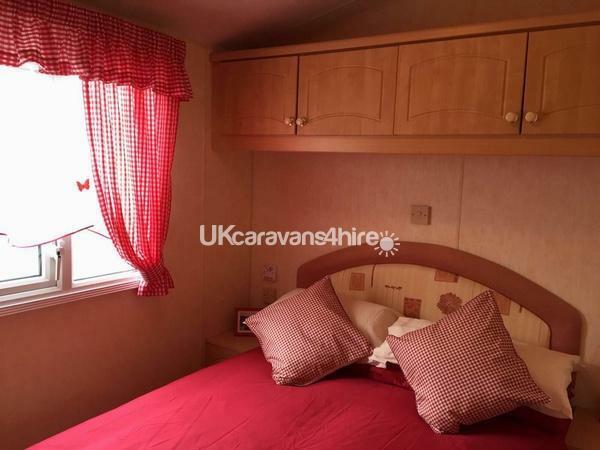 The caravan is fully double glazed with blown air heating throughout. 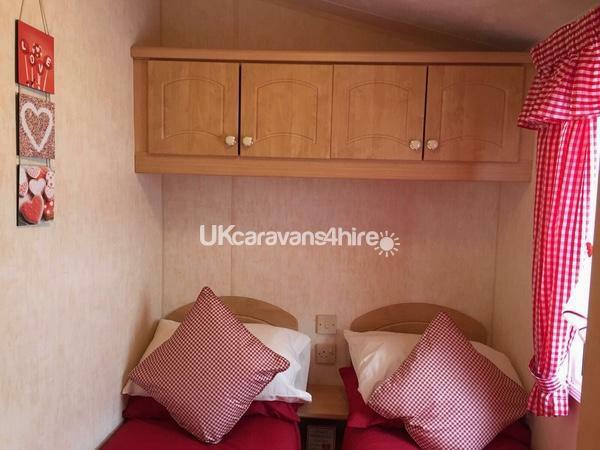 1 small dog allowed in the caravan but please could we keep pets off of the furniture and in the bedrooms. 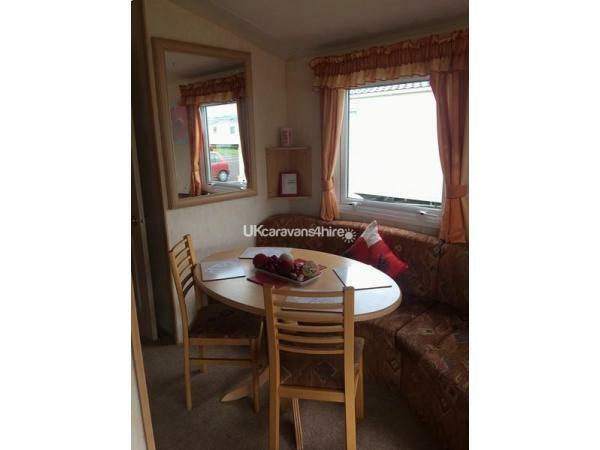 A family pet uses the caravan regularly. Monday - Friday breaks as well as Friday - Monday breaks considered on request. Additional Info: Swimming pool, crazy golf, shop and cafe. 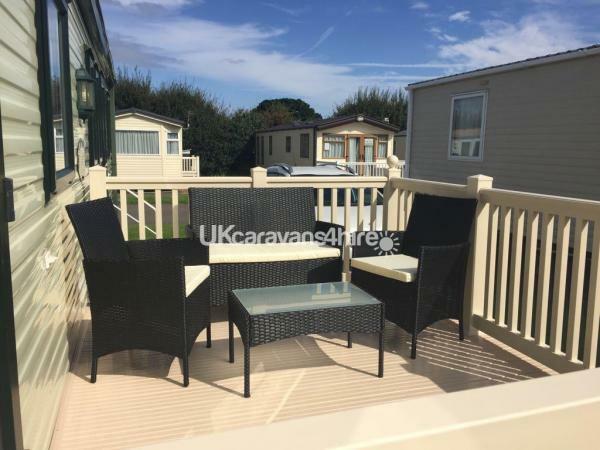 We booked this caravan 3 days before we wanted to go so it was a spur of the moment decision, the owner was very prompt in replying to our request and everything advertised about this caravan and Blue Anchor itself is true. We had a wonderful peaceful holiday. We have nothing negative to say. I will go back asap. Thank you Chris for allowing us to have a wonderful holiday in your caravan. We were 3 adults and a small dog and we all loved it.